Mountain-like, LAKEFRONT retreat in Spaulding Farm! 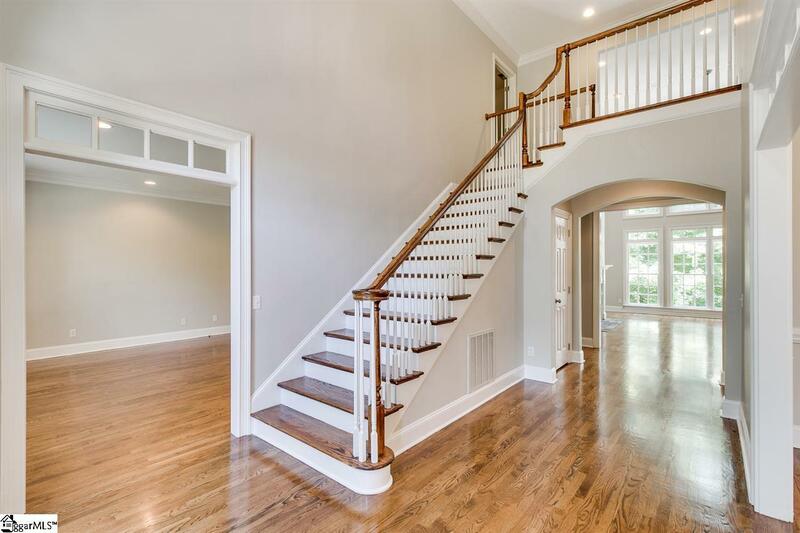 5 bed/4.5 bath home situated on a sloped, wooded lot offers TONS of NEW UPDATES: new hardwoods & closet system in Master, refinished/stained hardwoods throughout main level, new carpet upstairs, new paint throughout interior and exterior, re-sealed decks, and all new landscape lighting! Serene water feature runs through part of backyard, beautifully landscaped leading to a small fishing and canoe dock. Views of Spaulding Lake from kitchen, breakfast room, keeping room, great room, screened porch/decks, master bed/bath, upstairs guest room & bath, lower level rec room and bedroom. With a two car garage, this home offers two additional storage spaces to meet your expansion needs: an interior, unfinished (already wired/insulated and heated/cooled) 350 sq ft room off the kitchenette and an exterior access storage room (ready to go for a workshop). The familys favorite room is the keeping room off the kitchen with the beautiful stone fireplace. 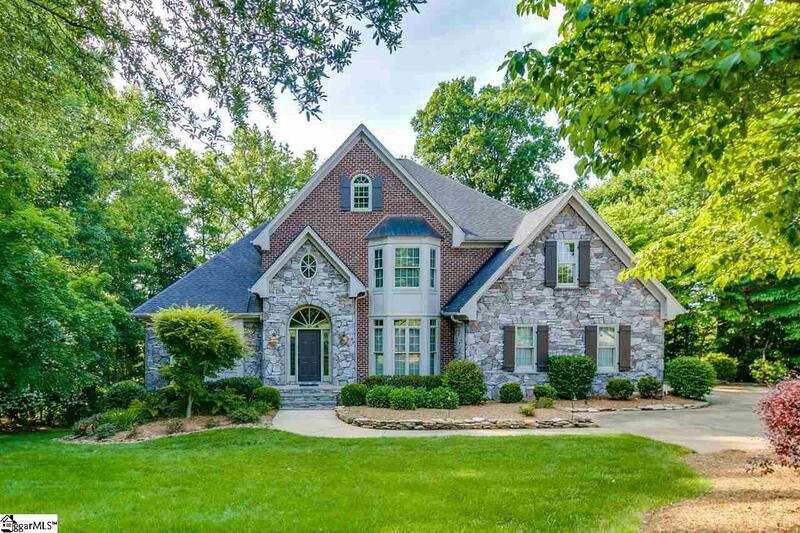 Great schools, easy access to Woodruff Rd, I-85, and Five Forks area makes this one of Greenvilles most desirable neighborhoods! Bring some serenity to your lifestyle while maintaining all of todays conveniences and luxuries! Offered by Katie Reid of Bhhs C Dan Joyner Miller Rd. 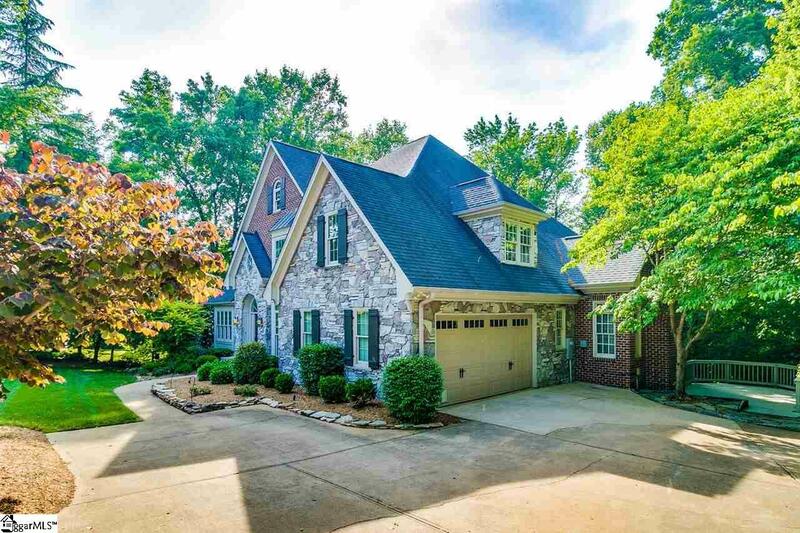 Listing provided courtesy of Katie Reid of Bhhs C Dan Joyner Miller Rd..
© 2019 Greater Greenville Association of Realtors Multiple Listing Service. All rights reserved. IDX information is provided exclusively for consumers' personal, non-commercial use and may not be used for any purpose other than to identify prospective properties consumers may be interested in purchasing. 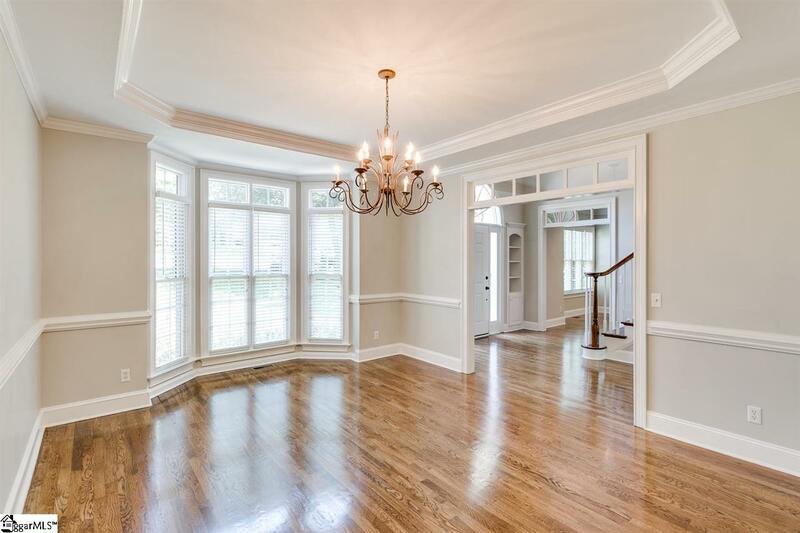 Information is deemed reliable but is not guaranteed accurate by the MLS or J. Michael Manley Team. Data last updated 2019-04-22T00:01:09.563.